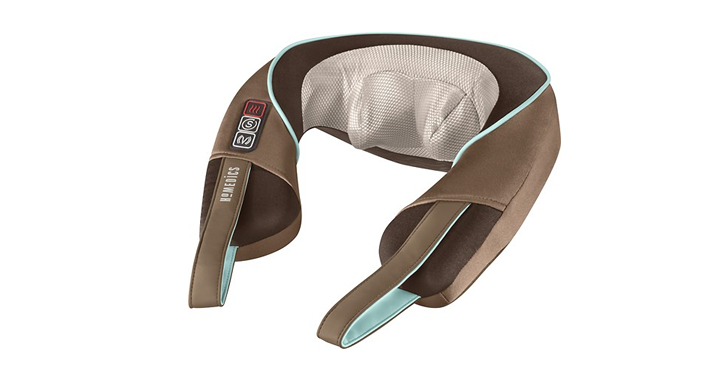 HoMedics Shiatsu Neck and Shoulder Massager with Heat – Just $24.99! Today only, save big on an awesome massage product. This is a great item that can help anyone relieve discomfort in your neck and shoulders with this massager’s versatile Shiatsu, vibration and combination options, heat and customizable intensity via flex handles. Check out the GREAT price on this item! Head on over to Best Buy and get the HoMedics Shiatsu Deluxe Neck and Shoulder Massager with Heat! Priced at just $24.99!